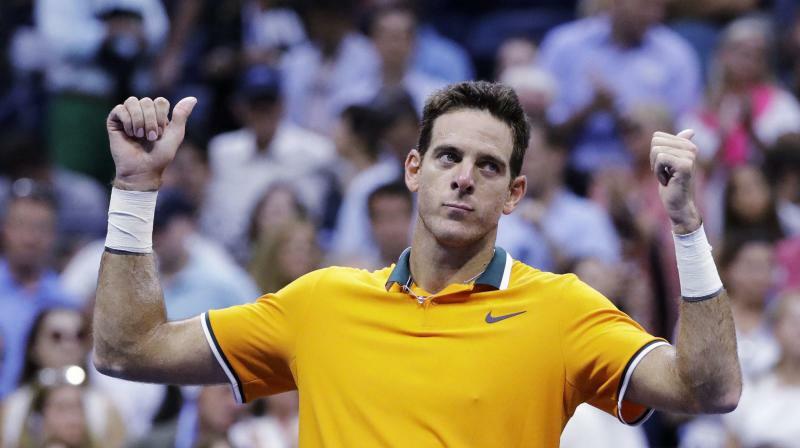 Last month, del Potro had reached the final of the 2018 US Open where he was toppled by Serbia's Novak Djokovic. New Delhi: World number four Juan Martin del Potro suffered a fracture on right kneecap due to which he is likely to end his 2018 season early. The 30-year-old sustained the injury following a fall during his pre-quarters clash against Croatian Borna Coric at the recently-concluded Shanghai Masters. The Argentinean said that it is a hard blow for him, adding, that it would be difficult for him to recover. "It's a very difficult moment, I feel very sad. It's a hard blow that leaves me without strength. It's very difficult for me to think about recovery again, I did not expect this to happen," ATP quoted Del Potro, as saying.